A nightmare for Katie Price in South Africa! Carjacking and risk to her and her kids’ life! Details here! Married Biography / Entertainment / A nightmare for Katie Price in South Africa! Carjacking and risk to her and her kids' life! Details here! 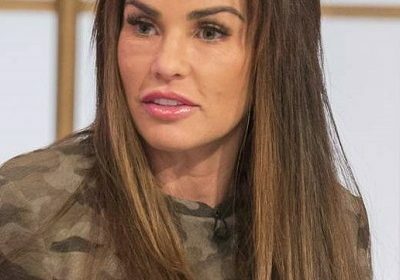 British TV personality Katie Price was in for a shock when she was robbed during her recent vacation. Katie Price was traveling from Johannesburg to Swaziland on 29th March 2018 when she was targeted by a set of criminals. She was attacked and robbed. Here are the details! Katie Price was filming for the second series of her TV show named My Crazy Life when she was attacked and robbed in Chrissiesmeer, Mpumalanga. Katie was in a convoy and her children named Princess and Junior were also with her at that time. One Samaritan tried to help and was injured in the process. He is under treatment at the local hospital and is doing well. It was not sure whether Katie would resume her shooting. It has also been reported that she and her kids have been provided security by the police so they can safely continue with their filming. The film crew were in 2 people carriers in South Africa and moving towards Swaziland when they were ambushed and surrounded by a criminal gang who also punched Katie’s driver unconscious. Her kids were thrown about by the thugs and Katie had feared for their lives. It is been said by a tourism boss that the criminals who carjacked Katie Price had no clue that they were targeting and robbing a celebrity. It is also stated that Katie, 39, and her two children Junior and Princess, were simply “in the wrong place at the wrong time” when they were held up by a trio of robbers just outside Cape Town this weekend. It is said that Athol Stark and his team assisted the victims and rescued them from the roadside and gave them an overnight hotel to stay and come out of the trauma.